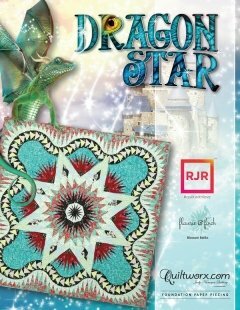 Home > JUDY NIEMEYER PATTERNS > Dragon Star Pattern 65" x 65"
Judy and Brad Niemeyer designed the layout, instructions, and foundation papers for the Dragon Star. A collection of batiks designed by Flaurie & Finch with RJR called Blossom Batiks were selected to make the sample shown on the cover. A sewing technique called foundation paper piecing is used to assemble the units required to make this quilt. Traditional piecing and curved piecing techniques are used to join the units after the foundation piecing is completed. The color layout for the quilt on the cover was designed in Quiltster, a subscription-based fabric auditioning application available to Quilters everywhere. With Quiltster, you can load fabrics into spaces on a quilt design to see what it looks like before completed. 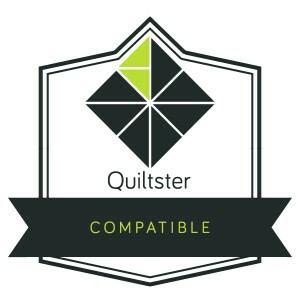 Quiltster launched to a consumer audience in September of 2016 and is available at Quiltster.com!